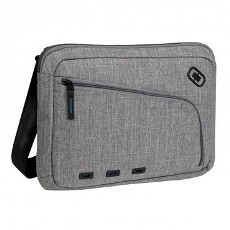 Main padded electronics compartment is lined with plush quilted fleece and is designed to fit a range of slim laptops with screens up to 13 inch in size plus a tablet. Front organiser pocket accommodates smartphone, power source, pens and has a quick detach key lanyard. 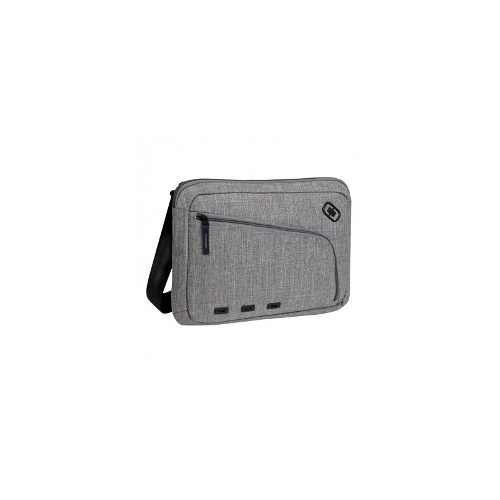 Zippered back panel pocket is ideal for small travel document. Variable carry angle strap allows user to choose horizontal, vertical or angled orientation. Strap can also be removed to allow use of sleeve inside larger bag. High quality materials include durable T/CD 900D (black) or TC 300D (light grey woven) fabric with water resistant coating, hypalon, nylon webbing and custom hardware.